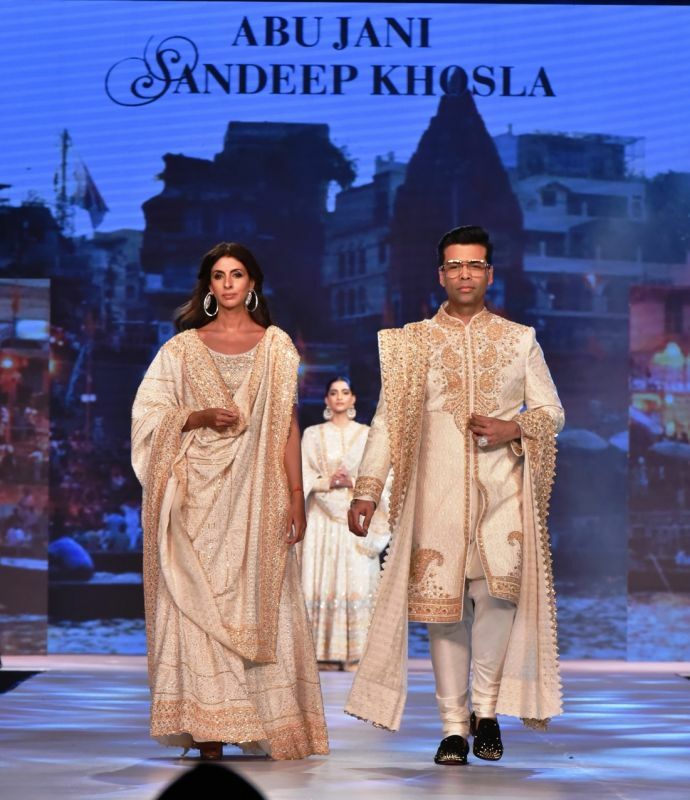 Mumbai: The 14th edition of ‘Fevicol Caring with Style’ was a star studded event where women achievers from all walks of life walked the ramp for designer duo, Abu Jani and Sandeep Khosla. The fashion show was a contributory effort to help cancer patients (children with Leukaemia) to help them lead a healthy life. The collection comprised of bandhini tie and dye, Banarasi tissues, jamdanis and khadi to Assam weaves and Kanjeevaram silk from the south. Iconic motifs that are a reflection of the rich cultural heritage like the paisley, lotus and bindu had been redefined making the collection look regal. Varied techniques from chikankari and zardosi to gotta patti to resham found new expression. The key highlight of the event was the coming together of 15 Zardozi Karigars from various parts of the country. They walked the ramp with fashion designer and politician, Shaina NC and various other eminent personalities. 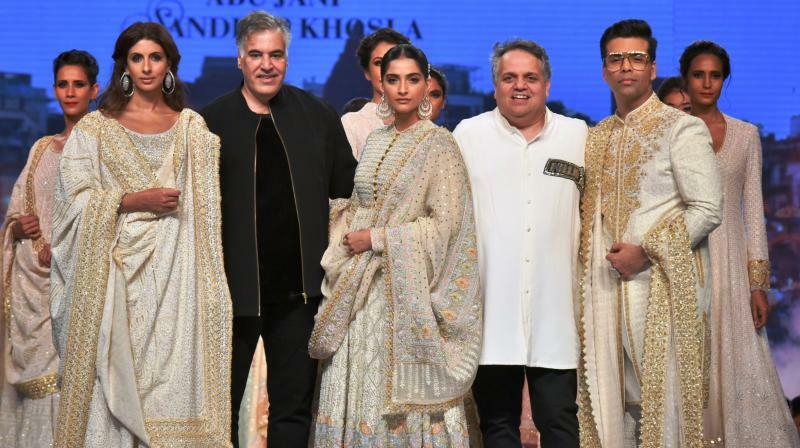 To add to the glamour quotient a host of Bollywood celebs like Sonam Kapoor Ahuja, Karan Johar, Shweta Bachchan Nanda walked the ramp for Abu Jani and Sandeep Khosla.